We also sell paintings, sculptures and antiques at our auctions on a regular basis. Artworks of historical interest are particularly sought-after by our buyers. The demand for sculptures and paintings of military subjects remains unabated, along with portraits and busts depicting famous historical personages or the crowned heads of Europe. Moreover, top prices are virtually guaranteed for the personal possessions of well-known figures. From Napoleon's bicorne to Josephine Baker's stage costumes, right through to the riding crop used by Empress Elisabeth of Austria: with our experts, all these objects are in the best of hands. We have also achieved major successes in the antiques and works of art section over the past few years. 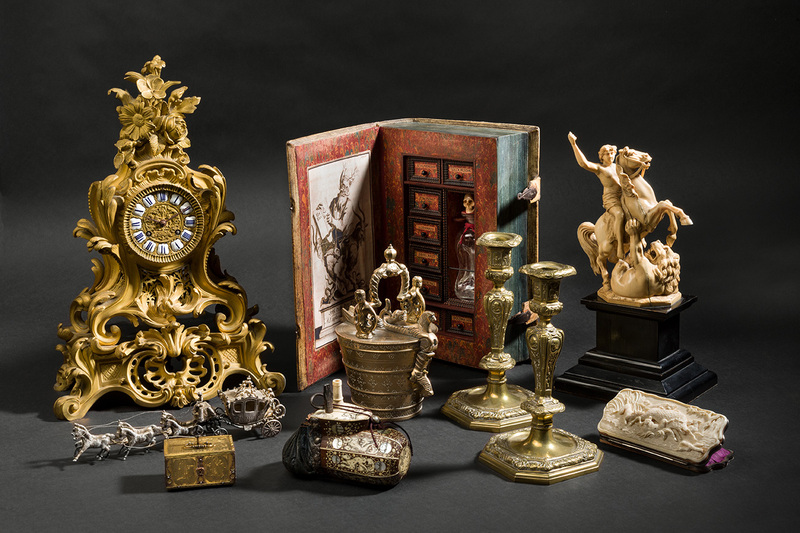 Kunstkammer objects dating from the 16th to the 18th century, made of rare materials such as coral, amber, ivory or rock crystal, are equally well received as works by outstanding silversmiths from the Renaissance and baroque period. Furthermore, we are always on the lookout for beautiful objects to decorate rooms in which collections of historical weapons are housed. These include old chests and coffers, historical household utensils in copper, zinc, bronze or wrought iron, early pottery or works in wood. Should you wish to dispose of individual pieces or an entire collection on the most favourable terms, we are at your service. Our experts offer a free evaluation of any objects that you submit for consideration. By contrast, if you prefer, we are also pleased to inspect large, coherent collections of interesting objects in situ. Please get in touch by giving us a call or sending an email, attaching clear colour photographs of a few significant objects, wherever possible. Simply write to us at kunsthandwerk(at)hermann-historica.com – we look forward to your consignment.